Friendship is one of those miracles like theater, where one person inspires another to act a finer role than that he might otherwise accomplish. The prompt words today were friendship, theater, inspiring and miracle. This entry was posted in Uncategorized and tagged FOWC, Friendship, RDP, Word of the Day Challenge, your daily word on December 5, 2018 by lifelessons. 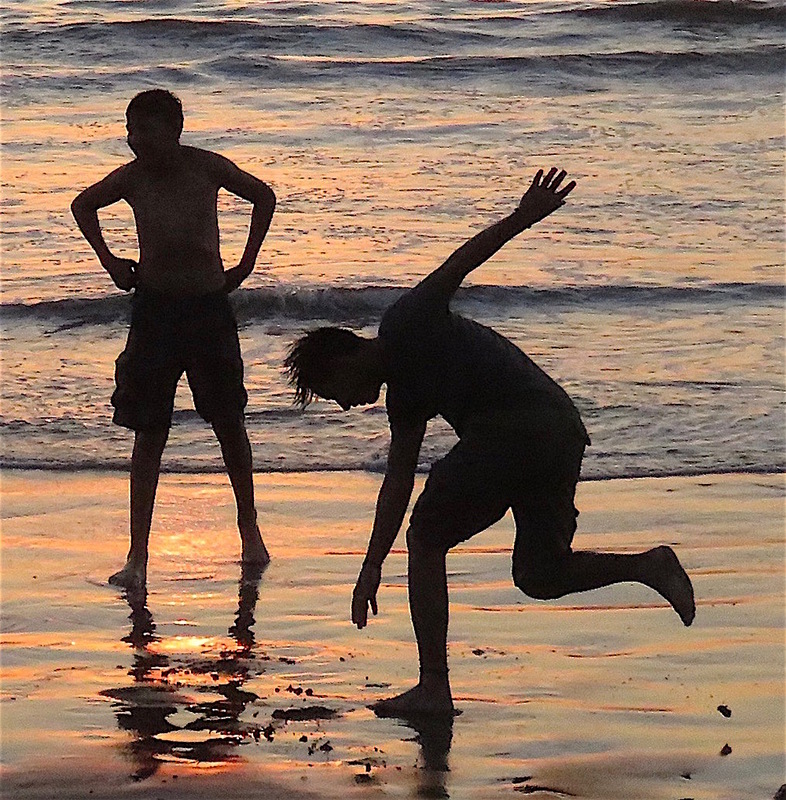 These kids were doing fantastic acrobatics on the beach right at sunset. Loved it. I’ve heard it was a stirring service. They both were — DC very befitting of a State Service in the National Cathedral, and Houston much kinder and gentler, but very powerful!